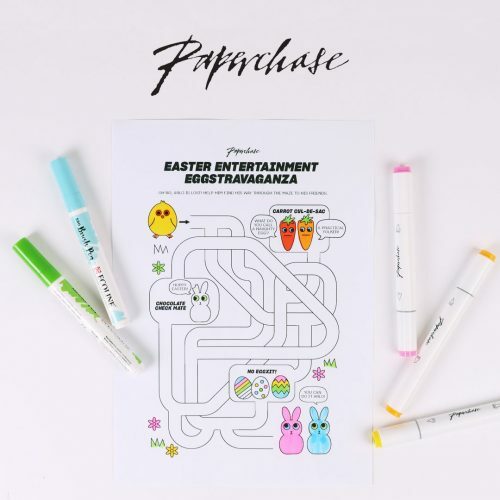 Paperchase — Top prizes to be won just in time for Easter! 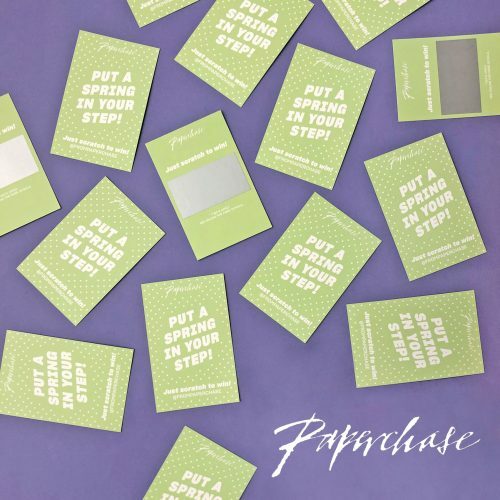 Paperchase have got just the thing to put a spring in your step! Over the Easter period Paperchase want to encourage kids to get crafty! They have created an ‘Easter Activity Leaflet’ which is free to any customer (old or young!) who would like one – just pop in store to pick one up! The leaflet features an egg-citing maze and an egg-cellent picture to colour in! Available now until Saturday 20th April. Not only that, every time you make a purchase in a Paperchase store or online you’ll get a given a scratch card. Each one is a winner – you just have to go online to reveal your prize. The top prize is £50 to spend on stationery of your choice! Plus, there is still time to take advantage of the Paperchase sale where you can save up to 50% on all your trendy favourites—offer ends Sunday. From Tuesday 9th April whilst stocks last – hurry, we don’t think they’ll be around for long!